Find out more about The Returns Revolution Sponsors! XPO's corporate headquarters is in Greenwich, Conn., USA, and its European headquarters is in Lyon, France. Global-e enables eCommerce retailers to significantly grow their international online revenues by offering billions of shoppers, in more than 200 destinations worldwide, a seamless localised shopping experience. By handling all aspects of cross-border ecommerce, from localised browsing and checkout, to guaranteed tax and duty calculation, tax regulations, and shipping and returns, Global-e makes selling internationally as simple as selling domestically. Our Smart Cross-Border™ technology-based solutions embed advanced localisation capabilities, streamlined international logistics and extensive local market knowledge, removing barriers in converting international visitors while increasing customer satisfaction worldwide. The Royale International Group is headquartered in Hong Kong. 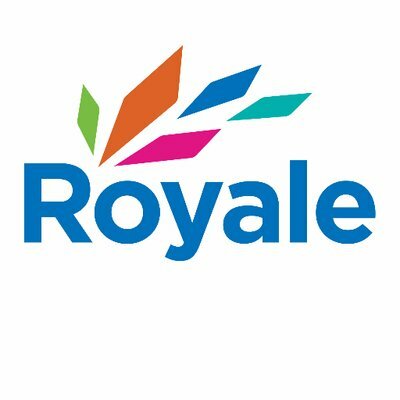 Operating over 50 offices in 20 countries worldwide, Royale employs over 1,000 staff globally. Offering a wide range of services including International Courier, Air Freight, Warehousing and Fulfillment, Time Critical Services and E-Commerce the business continues to expand rapidly and has earned a reputation for flexibility, reliability and service. With 24/7 operations and dynamism often missing from the logistics industry, Royale has been able to craft solutions for many of the world’s Fortune 500 companies. With a strong presence in Asia Pacific and Europe, Royale is presently undergoing expansion in North and Central America supporting sectors such as automotive, tech, aviation and retail. E-commerce is currently at the forefront of continued growth within the APAC region. Boxberry provides one of the leading Ecommerce Industry’s delivery solutions to Russia, Ukraine and Kazakhstan. Around 200 million customers in these countries choose Boxberry International to deliver goods from online stores. Our trustworthy logistic chain enables to get all services in one solution: delivery to home or parcel offices – more than 5000 points, customs clearance and return solution. Strict deadlines, low rates and high quality of service - are the key points Boxberry has a focus on. Around 10 000 retailers, including such leading brands as ASOS, Adidas, TopShop, LaRedoute, iHerb etc, are using Boxberry as the delivery provider. Delivery Net is a leading provider of parcel delivery solutions for eCommerce retailers operating in Canada. 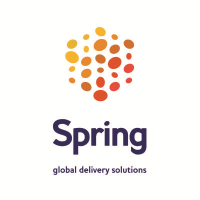 Handling over 8 million eCommerce packages annually through their Toronto and Vancouver hubs ensures cost savings through a combination of volume discounts and a market leading zone skipping product. Delivery Net provides a wide range of solutions for eCommerce retailers in Canada including Parcel distribution, Mail distribution, Locker delivery, Returns Management and Fulfillment. With over 23 years of experience Delivery Net has grown to become a major player in the growing eCommerce industry in Canada. Every day our 68,000 delivery experts deliver more than 4.8 million parcels across Europe’s largest road network and beyond. Our ambition is to be the best delivery partner to work with. So we’re continuously evolving our customer experience to deliver brilliantly simple solutions that make sending, receiving & returning parcels easier & more flexible. quicker, flexible and more convenient. DPD Predict lets the recipient know the exact hour their parcel will arrive by sending information in advance by SMS or email. Its also easy to change the time, day or place. DPD Pick Up makes parcel delivery quicker, flexible & more convenient for deliveries & returns. Our customers can send, receive & return parcels at a DPD Pick Up point that is most convenient to them where ever they are in Europe with over 32,000 pick up shop locations across 15 countries. As delivery experts we never stop evolving to create brilliantly simple international solutions. Retail Assist is an award-winning IT services and solutions company, providing UK and international brands with end-to-end business applications and services support that reduce costs, optimise retail operations and support higher revenues. The organisation supports leading brands in retail and hospitality, and has two divisions; Managed IT Services, including 24x7x365 Help Desk, Technical Services, Operations, Data Centre, Hardware Maintenance and Disaster Recovery, and Retail Solutions, comprising; Merret supply chain solution, Tablet Inventory, and Ra-X Data Exchange. Retail Assist clients include: Harvey Nichols, Asos, Cath Kidston, Morrisons, Karen Millen, Selfridges, World Duty Free Group, Bidvest Logistics, Paperchase, Whistles, Jigsaw, Oasis, Warehouse, Coast, White Stuff, Mint Velvet, Calvetron Brands, Vue Cinemas, Pizza Hut UK and more. As an autonomous broker we handle international deliveries across the most reliable networks. With 13 offices worldwide, we are local experts in a truly global company. In other words, we’ve got what it takes to handle your cross border deliveries. Anywhere. KPMG is a global network of professional services firms and a leading provider of Audit, Tax and Advisory services. It operates in 154 countries and territories and has 200,000 people working in member firms around the world. KPMG LLP is the UK independent member firm, employing 14,000 people in 22 offices across the country, with headquarters in Canary Wharf, London. KPMG LLP focuses on clients’ big issues and opportunities by providing innovative approaches, deep industry knowledge and an extensive global network to deliver real results in a challenging and changing world. In 2018, KPMG LLP was top of the Social Mobility Employer index and featured in The Times Top 50 Employers for Women for the 8th consecutive year.